Maldivian athlete Nasrulla Ahmed (Nasru) won the first place of Indian Hindustan Marathon - Full Marathon Category. Nasru finished the 42-kilometer marathon in 3 hours 29 minute by running nonstop. The Indian climate was at 35-degree Celsius during the race. “The secret of this win is the practices I had in the heat. Strong athletes participated in the race, but stopped because they couldn’t take the heat,” said Nasru. Nasru is the brand ambassador of Maldives to Coca-Cola. He’s the Maldivian athlete with the greatest number of completed marathons under his belt. He has participated and completed 42 marathons to this date. Nasru has aimed to complete 30 more marathons before the end of this year. While Coca-Cola provides Nasru with the Financial support, he takes part in the Coca-Cola Fitness Promoting programs by attending schools to give lectures. Nasru also said that in addition to the sponsorship of Coca-Cola, he gets a lot of support from the Maldivian National Defense Force Chief Abdulla Shamaal and the MNDF Club. 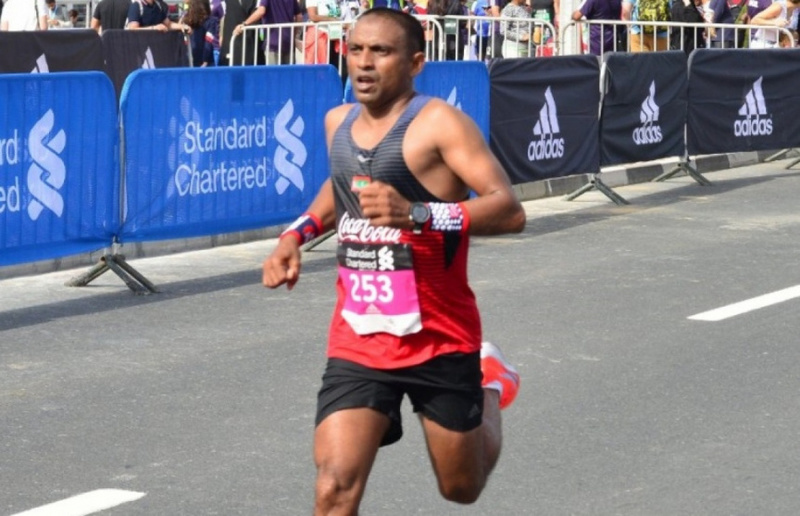 The record holder as the fastest athlete in the Maldives, Nasru completed 13 marathons in 2018. Nasru is also an online coach and coaches the upcoming young athlete of Maldives Mohamed Rasheed (Mode) under the supervision of an international coach.